Hurt at work? Sick on the job? If you’ve never filed a workers compensation claim before, you might feel like it’s too complicated or not worth the time. You might even think you’ll get better on your own and pay out of pocket without dealing with the headache. Don’t make the same mistake so many other hurt workers have made—before realizing too late that the extent of their injuries or illness is much greater than they originally thought. Before we even get started, it’s worth saying that whenever you’re hurt at work, you should definitely seek medical attention as soon as possible. The first thing you should do any time you’re injured is to let your employer know about your injury. Be sure to let a supervisor know when you were hurt, how the accident happened, what symptoms you experienced, and (if symptoms from exposure to dangerous substances or cumulative trauma do not develop all at once) when you realized that the injury was work-related. It’s up to you to let your employer know about your accident, injury or illness within 180 days, but the sooner the better! Both insurance companies and employers are skeptical of workers comp claims that aren’t filed immediately. Delayed reporting of the injury to your employer seriously delay your benefits or worse–cause them to be denied all together. The second thing you should do after reporting your injury to your employer, unless your injury is very minor, is seek immediate medical attention. This is especially important in work comp claims, because a doctor’s opinion is worth more than gold when it comes to filing your claim. Ask your employer where to go for treatment. Your employer will usually want to send you to a clinic it has a contract with. You must go to the doctor your employer sends you to–at least once–but after that you may change doctors one time for any reason. Any subsequent changes in treating physician will require a referral from your old doctor to a new one, or permission from the work comp carrier. Choose a doctor you like and trust. He is the most important person in your claim. If your work-related injury needed more than just simple first aid, your employer is responsible for filing a report with their insurance company within the first week after receiving your notice. The insurance company then completes paperwork with the Utah Labor Commission, investigates your claim, and decides whether you’re eligible for workers comp benefits. The review process could include going over your medical records, checking your work experience and wages, ordering an additional medical exam, and assessing your ability to perform work-related duties. If you believe your benefits were wrongly denied, you have the right to appeal the insurance company’s decision, which involves filing for an Application for Hearing with the Utah Labor Commission. 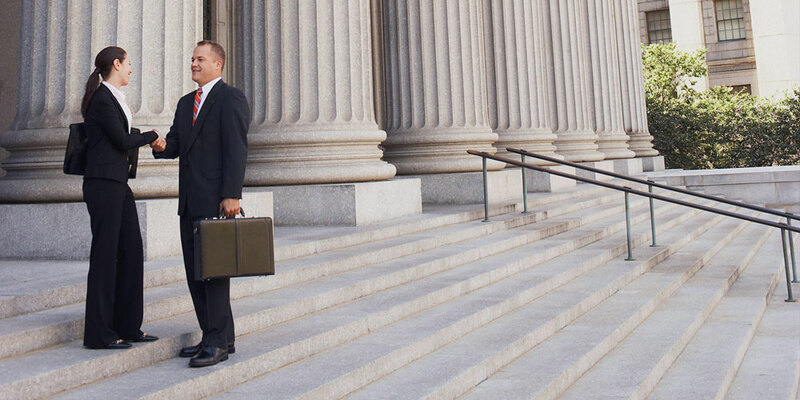 Unless your claim is very straightforward, you should absolutely consider hiring a Utah workers comp lawyer. Even “straightforward” claims have been denied without justification, and you’ll want expert help to tackle our complicated legal system. If your claim was denied, get in touch with us right away so we examine your claim and figure out if you have a solid case.